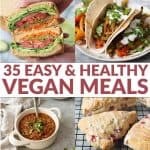 Letting you know that this post is sponsored by Pacific Foods because we LOVE their plant-based beverages! 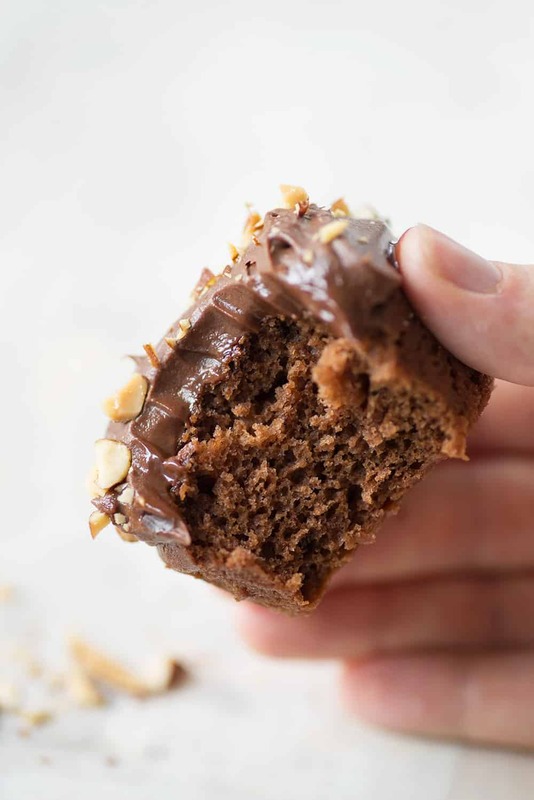 These nutella cupcakes feature their hazelnut beverage and wow, they are so good. Thanks for supporting the brands that support DK. Monday morning feels like a good place to share these cupcakes with you. I hope you’re at your desk after a relaxing weekend with a just poured cup of hot coffee and settling into the arduous task of checking emails. I hope somewhere between work responsibilities and retail coupons, this email finds you. A giant chocolate hug in the form of nutella cupcakes with homemade nutella frosting. At least, that’s where I am currently. Sitting at my desk with an oversize cup of pumpkin coffee eating one of these cupcakes and trying my hardest to ignore emails so I can write to you uninterrupted. It’s Sunday afternoon, not Monday, though both feel like a great place to sip coffee and dream of these cupcakes. I know I tell you that all of my recipes are delicious, but these cupcakes really take the cake. The inside is perfectly chocolatey and moist and the frosting is so incredibly rich, you’d never guess it was dairy-free. These cupcakes are perfect for birthdays, holiday get-togethers or really anytime you feel like baking. After first testing them weeks ago, they’ve become my weekly project. In less than an hour I can have a dozen nutella cupcakes that are perfect for sharing. We eat a few, then gift the rest to neighbors and colleagues. That’s really the best thing about baking, isn’t it? A reason to share with others. The base of these cupcakes is Pacific Food’s hazelnut beverage. My guess is that hazelnut non-dairy beverage is new to you, which is a shame. BL swears that hazelnut beverage makes for the best smoothie and I’m partial to throwing some into our nespresso for the perfect latte. It’s also delicious in a glass by itself. Similar to coconut beverage, hazelnut beverage tastes incredibly creamy with a subtle nutty flavor. It’s slightly higher carbohydrate content also makes it perfect in baked goods. It’s why not all plant-based beverages are created equal; some are better in other recipes than others. Sugar and water content affect the texture of baked goods and not having enough of both leads to dry, crumbly cupcakes, muffins and breads. The bond between sugar and water locks in moisture, increases tenderness and keeps baked goods soft. It’s why these cupcakes are so darn good; they are both perfectly sweet and tender. Hazelnut beverage makes an appearance again in the frosting. 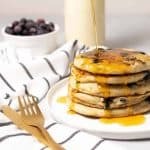 This is a technique that I learned years ago from Minimalist Baker and is the way I make my vegan frostings ever since. Heat the hazelnut beverage, then add in chocolate chips and cover. 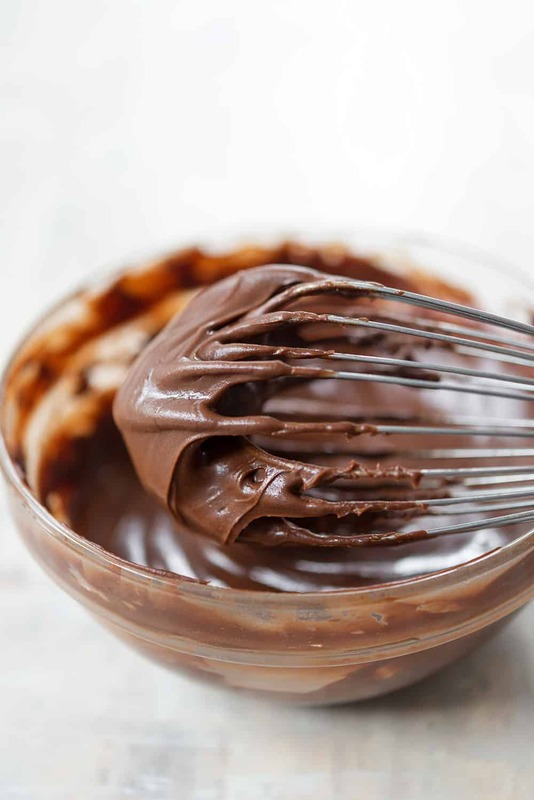 The heat from the milk and the steam from the bowl allow the chocolate to melt without being overheated, which may make the chocolate crack. After the chocolate is melted, beat in powdered sugar until glossy and firm. This frosting recipe is so foolproof and doesn’t require one drop of aquafaba or coconut cream. 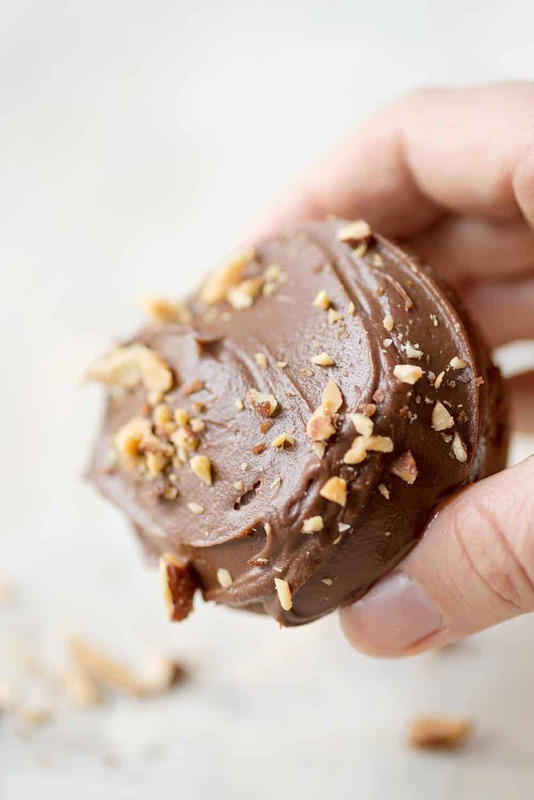 While I love those ingredients, they are a bit more finicky when it comes to creating the perfect frosting. The only downside is that you have to let the frosting harden in the fridge after making. Therefore, I usually make the frosting while the cupcakes are baking and then stick it in the fridge while the cupcakes cool. 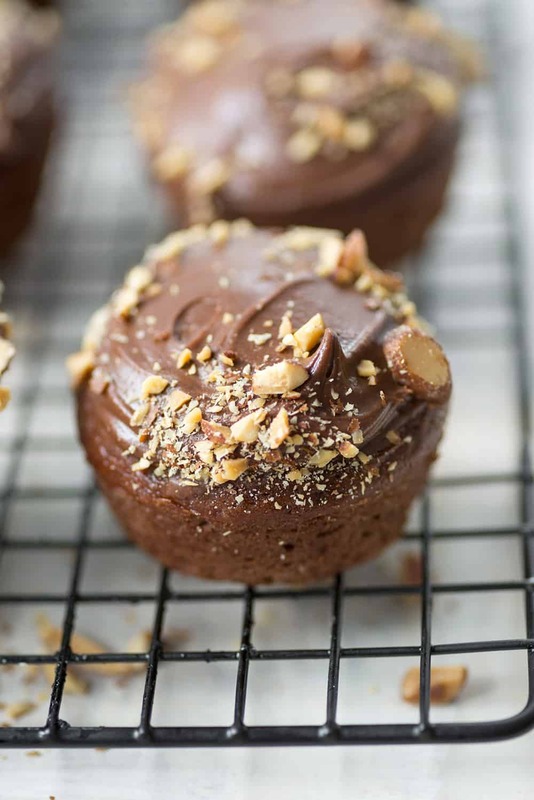 These wouldn’t be nutella cupcakes if I didn’t add crushed hazelnuts on top. While this step is completely optional, I think it adds nice texture and is a fun clue to what’s inside. Hope you enjoy these cupcakes as much as we do! In fact, I think I’m going to serve them for Vander’s birthday party in two weeks. Two weeks. Cue the tears. I know time flies but it’s still hard to fathom that I’ve got an almost one-year old. This year has been so good to me. 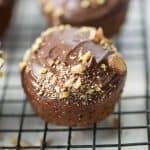 Vegan Nutella Cupcakes! These vegan cupcakes are SO delicious, no one will know they are vegan! 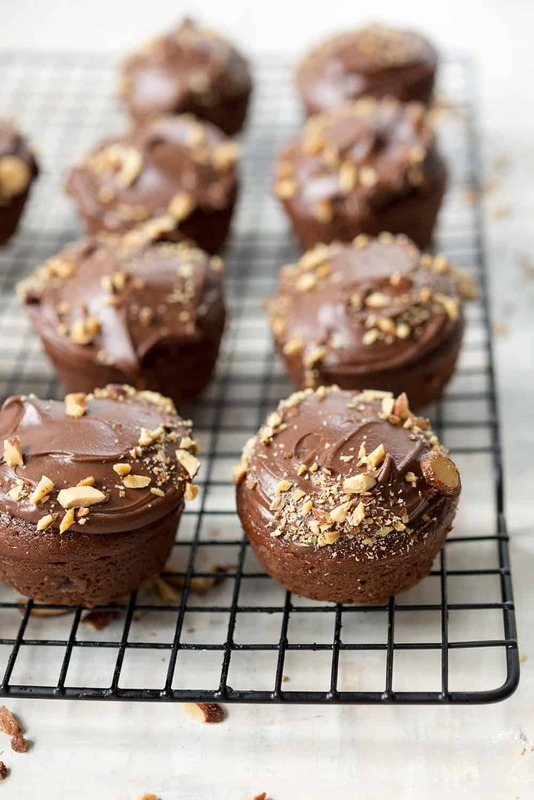 Moist chocolate hazelnut cupcakes with a rich chocolate frosting. 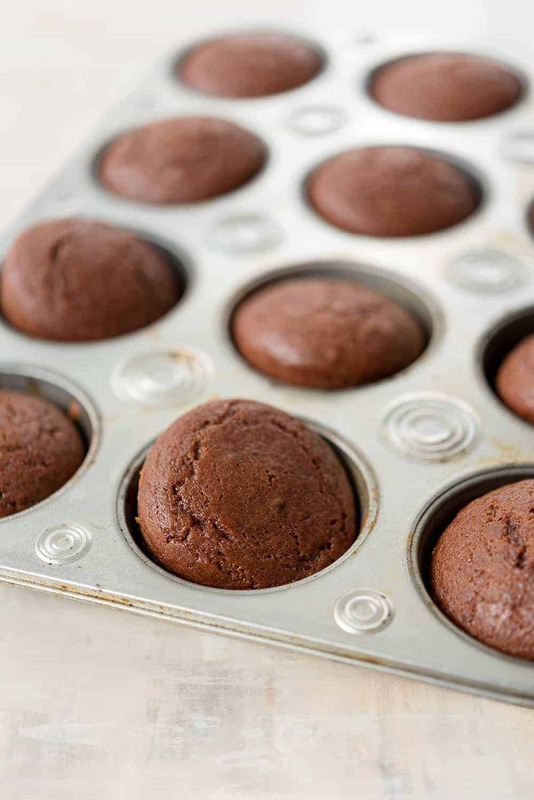 Preheat the oven to 350 degrees F and lightly spray a muffin tin; set aside. In a large bowl, add the hazelnut beverage, sugar, oil, vinegar and vanilla together and whisk together until the sugar is dissolved. In a separate bowl, whisk together the flour, salt, cocoa powder and baking soda and stir until everything is mixed well. Gradually add the flour mixture to the wet mixture and mix until just smooth, taking care not to overmix. Spoon the batter into the prepared cupcake pan (using ~ 1/3 cup). Bake for 20-22 minutes or until a toothpick inserted into the center comes out clean. Cool on a rack while you prepare the frosting. 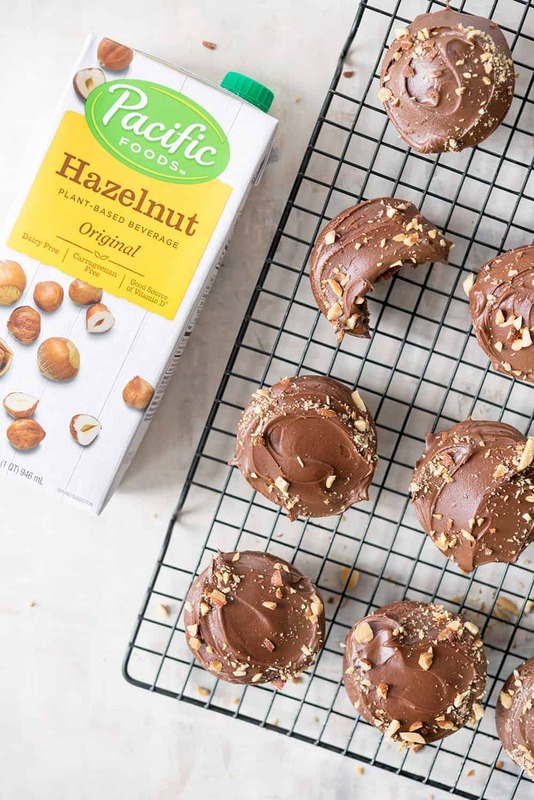 Place hazelnut beverage in a microwave safe bowl and heat on high for one minute (alternatively, you can warm in a saucepan.) Remove from microwave and immediately add the chocolate chips and cover with a dish towel to trap the steam. Let sit for 3-4 minutes. Stir to incorporate the chocolate into the warm beverage (it should melt), then add the coconut oil and cover again. Let rest for 10 minutes. Beat the powdered sugar in, starting with 1 cup and adding more as needed. I use my Kitchen Aid for this as it’s easier, but you can also use a whisk and a bowl. Just prepare for a good arm workout! You’ll know it’s ready when the frosting is glossy and somewhat thick. Place in the fridge to set for 20 minutes; if it’s still runny after 20 minutes then add more powdered sugar. I usually end up adding ~1 1/4 cups. Frost cupcakes and decorate with crushed hazelnuts! Dang, yes, Alex! 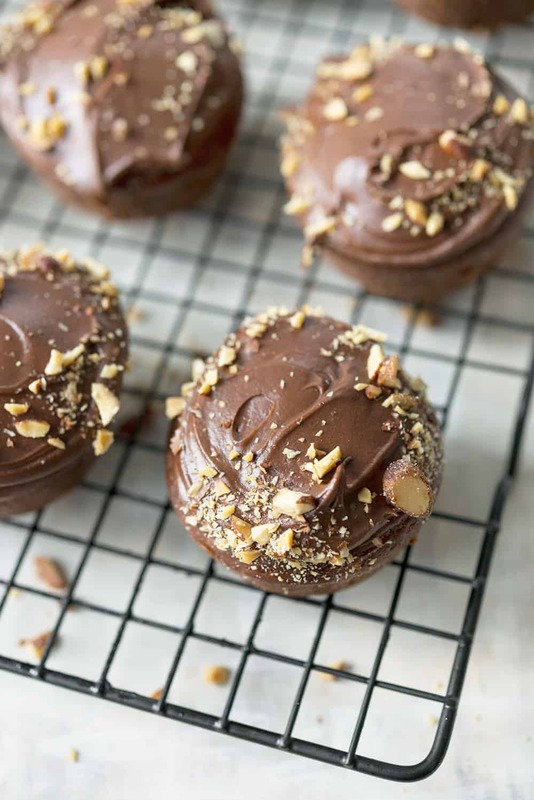 I love me some hazelnut and chocolate together 🙂 Plus, some people need a break from pumpkin desserts… I mean, definitely not me but… these cupcakes are brilliant. Me too! We can’t get enough of these cupcakes! They are so good!